Le Prince de Galles is a luxurious 5 star hotel of the George V avenue in Paris, only two steps from the Champs Elysées avenue, and not far from the Arc de Triomphe or the Eiffel Tower. 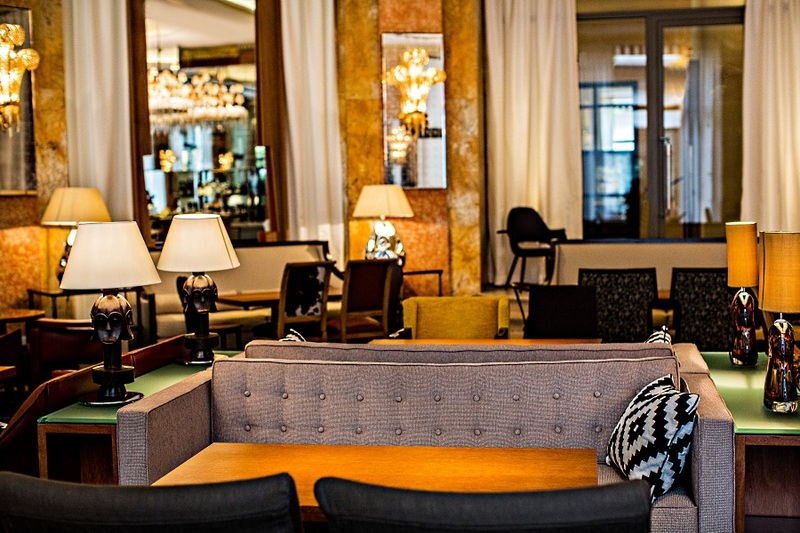 As in a luxury house, the hotel welcomes its guests in an intimate and exclusive environment. This place has been famous across the world for more than 80 years. 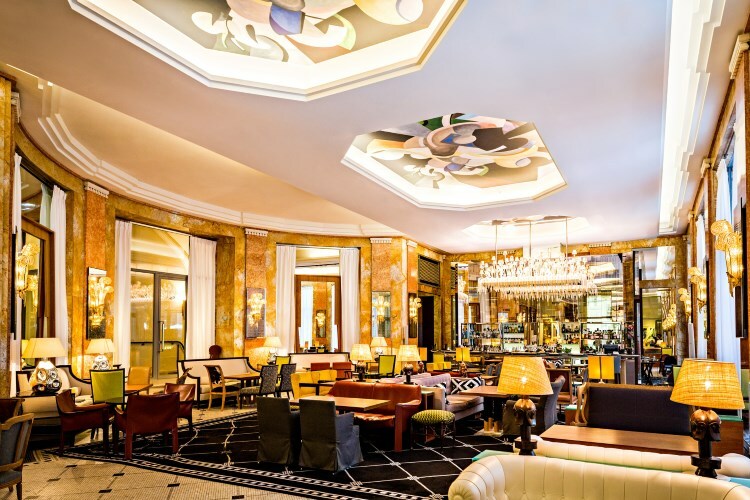 Built in 1928 during the peak of the Art Deco movement, under the direction of the architect André Arfvidson, Le Prince de Galles is the perfect ambassador of this movement. Its sophisticated elegance makes it so unique. 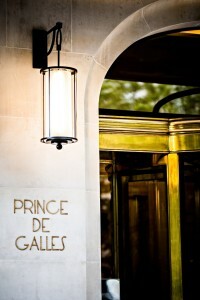 The hotel took its name from Eduard VIII, Prince de Galles and son of George V, that it was intended to welcome. 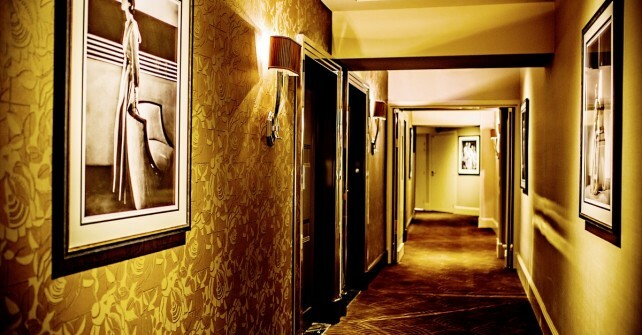 Sir Winston Churchill, Marlène Dietrich, Charles Laughton, Dalida or also Elvis Presley are some of the prestigious guests that followed him in this hotel. 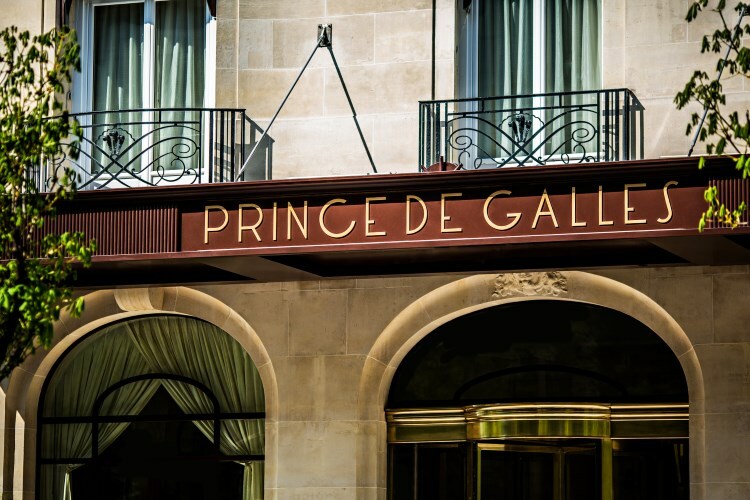 After two years of renovation, the emblematic Prince de Galles has reopened its doors in 2013. 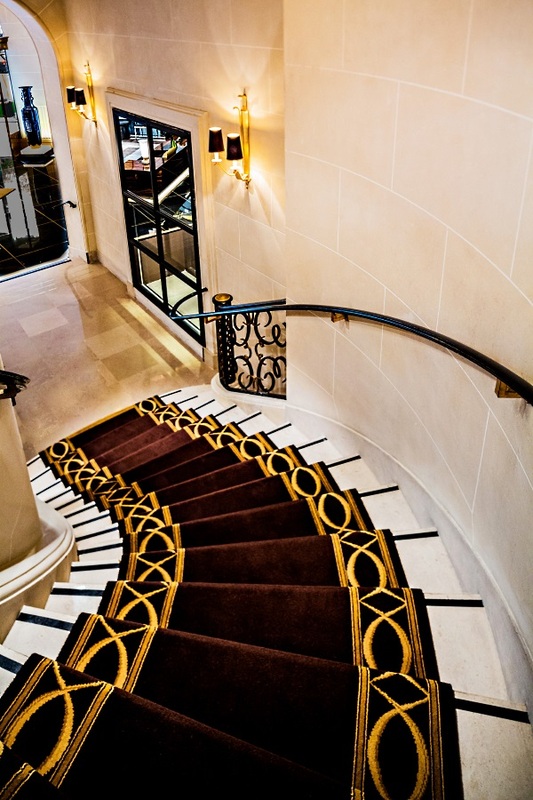 The famous interior designer, Pierre-Yves Rochon, whose signature is the attention to the detail, has hired an army of craftsmen. From custom-made furniture to noble materials, such as ebony wood or Saint Laurent marble, through the drapes refinement… all has been meticulously orchestrated. 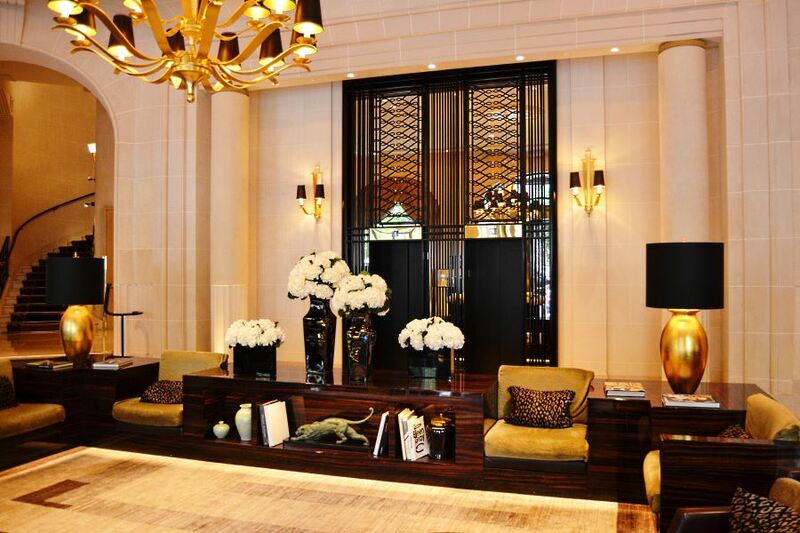 The lobby seems like a luxurious private living room in a splendid mansion. 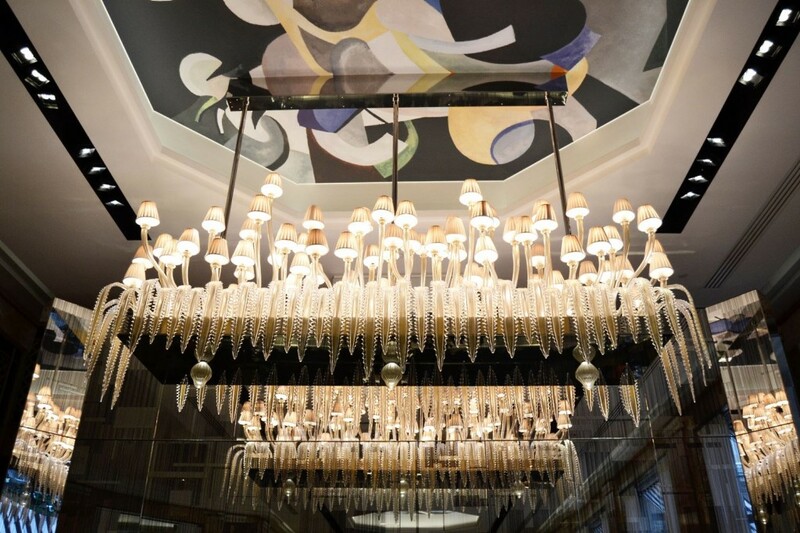 It is organized around the master piece : the sumptuous chandelier hand made by Delisle and inspired by the years 1920. 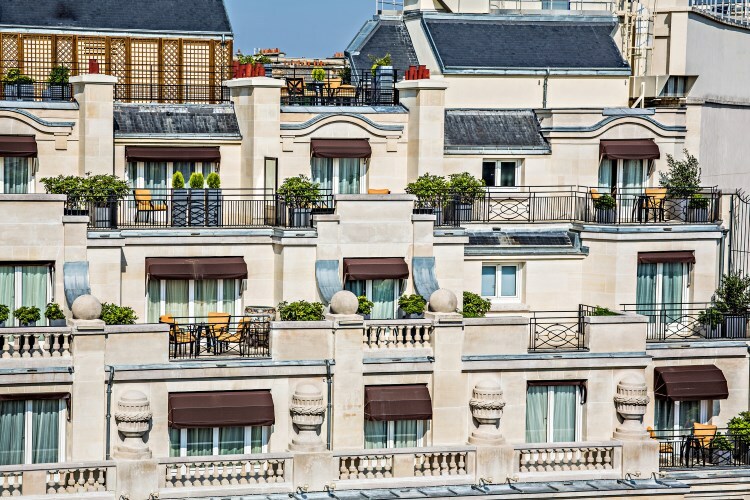 The Prince de Galles has 115 guest rooms and 44 suites, all designed as private apartments in a sumptuous private mansion in the heart of the Parisian Triangle d’Or. 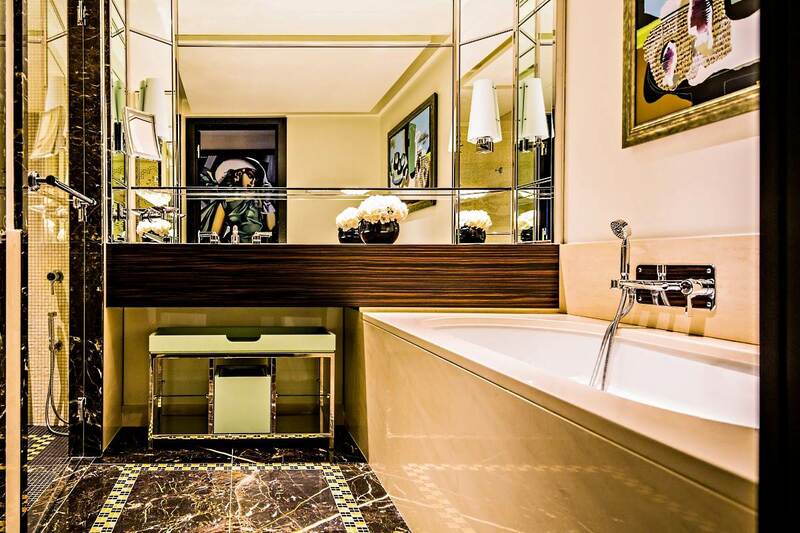 Dressed with celadon silks, the luxurious guest rooms offer contemporary comfort with audacious Art Deco touches, such as the shining mirror games and mosaic brightening the bathrooms. The 23 Mozaic and Makassar Suites have fluffy chairs and soft deck chairs contrasting with the rigor of the Saint Laurent black marble. 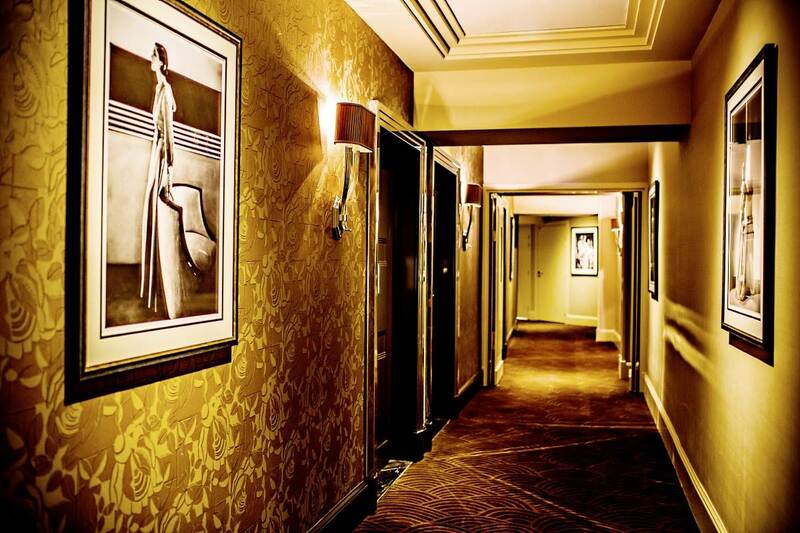 The thin arabesques on the carpet are echoing the mosaic that is enhancing the famous hotel courtyard. A large desk made of Makassar wood and a vast sycamore dressing complete this residential atmosphere. 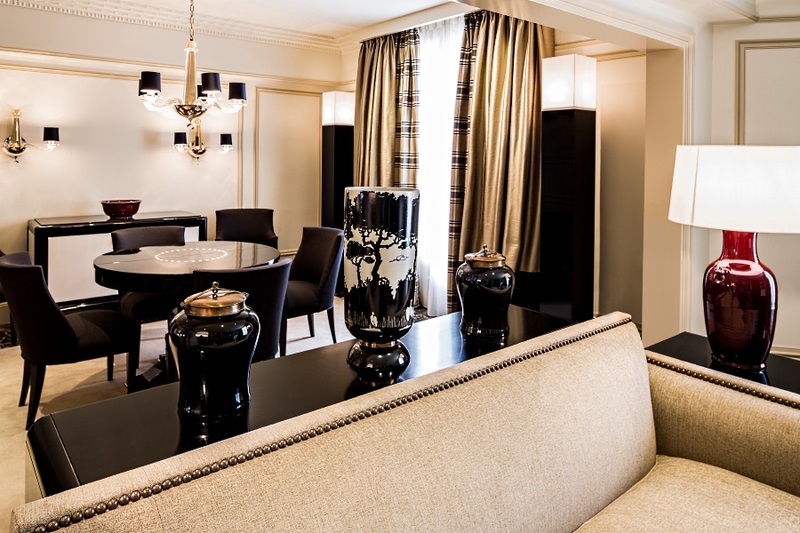 Both Royal Suites combine exotic touches with traditional Parisian elegance thanks to black and gold tones, dark marbles, chairs with leopard pattern, lacquer furniture and abundance of leather. The Suite d’Or shows a sophisticated boudoir, perfect chest for the wall support made of gold leaf by the French artist Manuela Paul-cavalier. 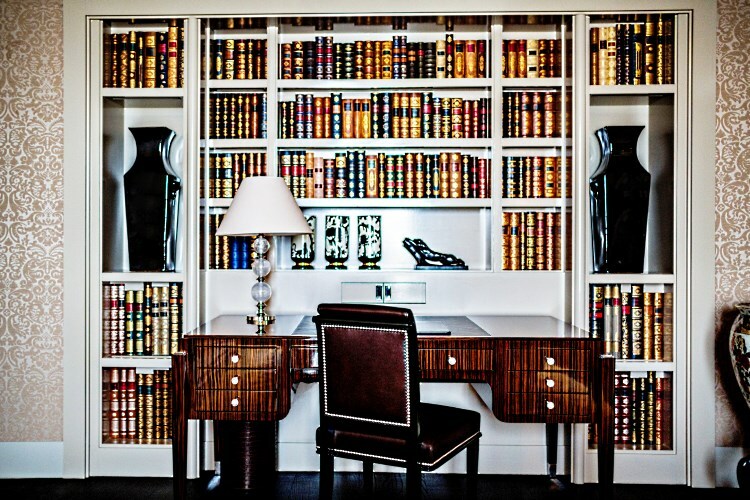 Then for the Suite Saphir, and its multiple types of blue tones, it houses impressive library made of Makassar wood. 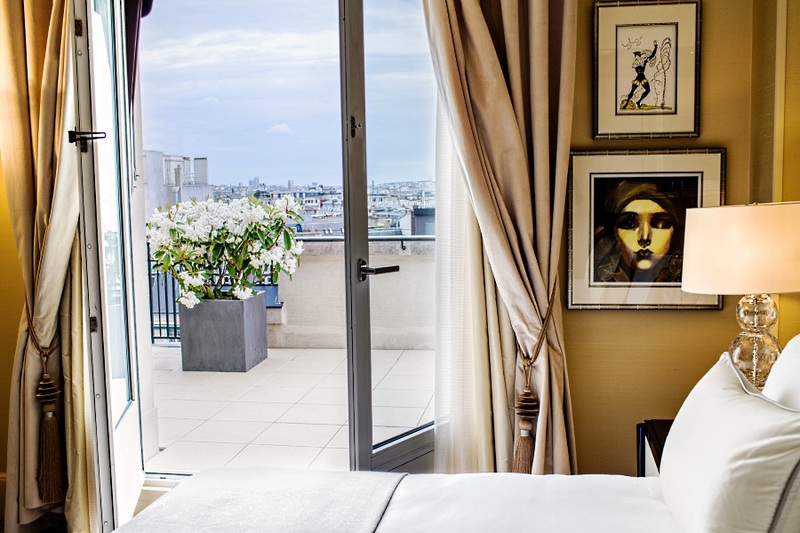 The most impressive one is undoubtedly the Suite called L’Appartement Parisien. 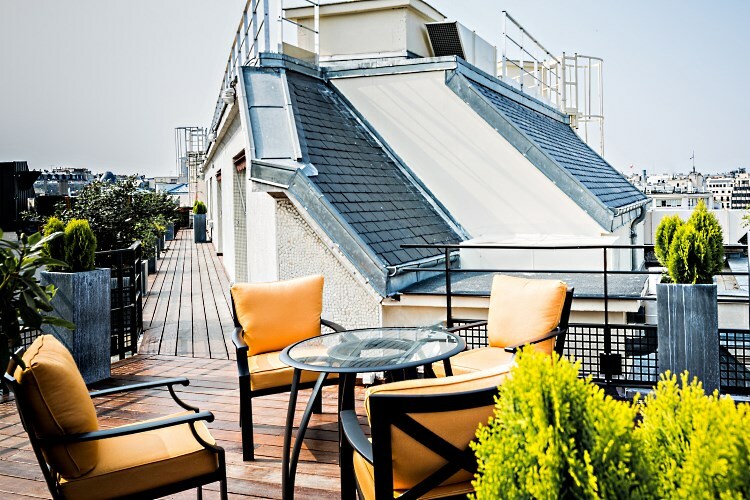 Laid out as a duplex on the last floors of the Le Prince de Galles hotel, it offers all the comfort and the extravagance that the most demanding customers could be looking for. 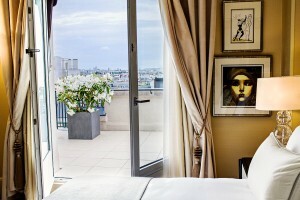 With its 245 sqm (2,637 sqft), it has a 85 sqm (914 sqft) terrace overlooking the Triangle d’Or with the Eiffel Tower for guest, a bathroom made of white marble with golden details and decorated with an unique mosaic, an elegant gilded wrought iron stair, a kitchen, a dining room and even a private elevator. Old Paris maps have been reshaped in a nice wall paper by Edmond Petit. 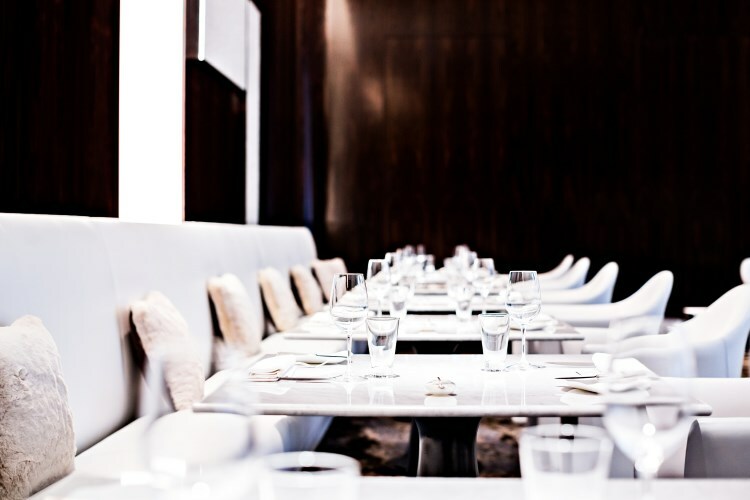 The restaurant La Scène, awarded one star by the Guide Michelin, is one of the best tables in Paris. 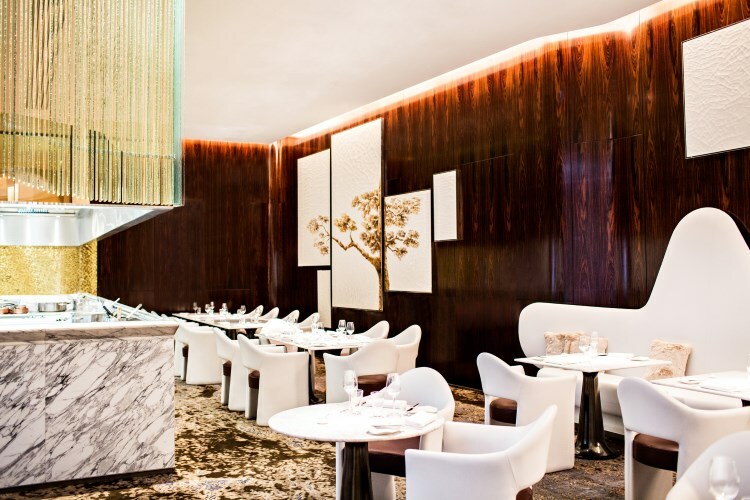 It offers a refined cuisine in a set-up where white marbles and dark woods sublimate each other around the open kitchen. Evolving over time, the select Bar Les Heures has different offerings depending on the time of the day. 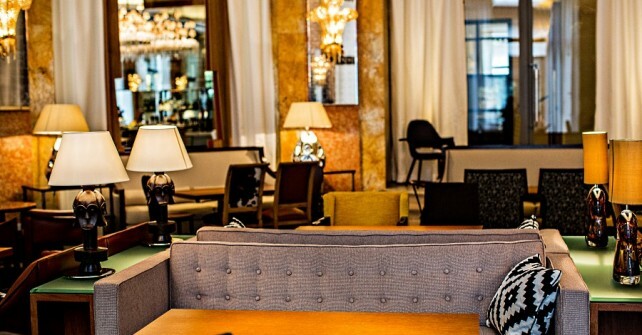 The Prince de Galles tea time is an appointment where Parisians and travelers are meeting around fine pastries, high quality chocolates and a rigorous selection of tea. In celebration to the carefree Roaring Twenties, signature cocktails have been named : Paris Mule, Champs Elysées or Princesses de Galles. 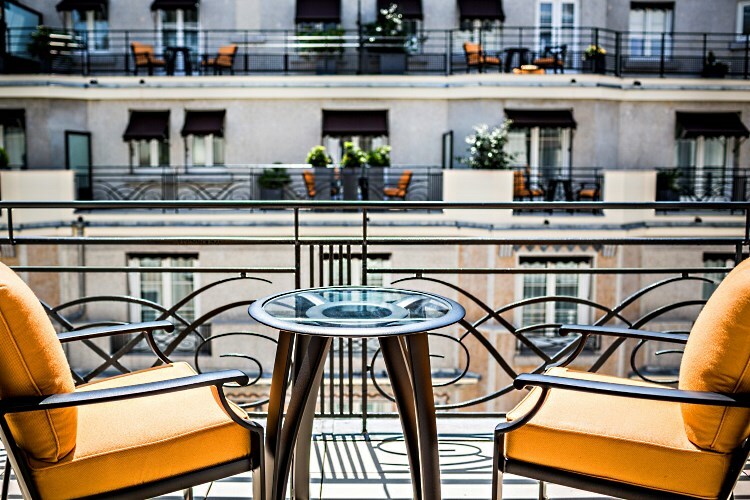 As a timeless haven of peace inside the City of Lights, Le Patio, well known for its mosaic decoration, is a place appreciated by all. In these three restaurants, the brunch is taking place every Sunday. 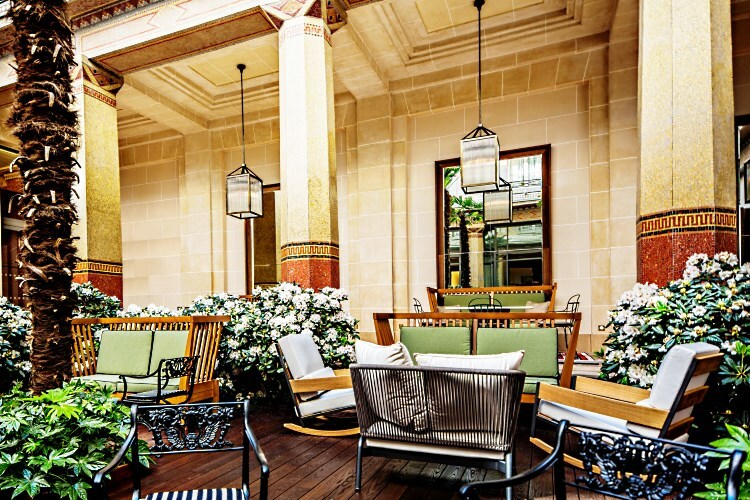 The diversity of meals available is making it one of the best in Paris. 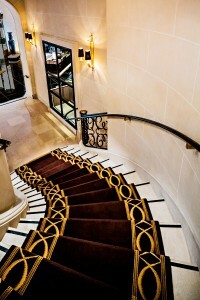 Pierre-Yves Rochon has also designed the Prince de Galles wellness area with its fitness room and wellness suite with an hammam, where treatments around the natural products Unique Elixir Paris are provided. 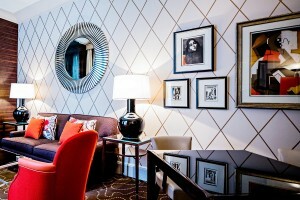 Those treatments can also be delivered within the intimacy of each guest room. The Prince de Galles Paris is a member of the prestigious Starwood Luxury Collection. Aggregate rating : 9.33 / 10 (based on 1 hotel review).